In the travel industry, home stays are one of the few areas where growth has been robust through the recession. Just as the Internet has allowed anyone to be a publisher, it has also democratized the accommodations industry. Anyone who owns property can host travellers, meaning we can compete with Hyatts, Holiday Inns and hostels. Likewise, you can be more discerning with your dollar when you travel, choosing a traditional hotel stay or opting for a bed in a home of a person you don’t know. He said iStopOver.com’s users are increasingly more social online, exchanging information about each other and photographs with the community before meeting in person. More and more are also posting reviews of properties they visit. Lipschitz said his team is there “to nurture the process” of people getting to know each other. They also take care of the receipt and payment of funds, because “there’s a massive trust, on both sides, that comes with that aspect of the exchange.” The company takes payment from the booking guests and holds the funds until the guests have arrived and provided their booking codes to the hosts, who then receive their final payment through iStopOver.com. “It takes the worry and formality out of it,” Lipschitz said of the money exchange. The company launched two years ago with less than 100 properties in only a handful of cities. Now, more than 80,000 properties from around the world are listed in iStopOver.com’s database and Lipschitz said the company added about 150 listings this week alone. Not surprisingly, the United States and Europe are the places where most of the listings originate, but Lipschitz says there are also has properties in Morocco and the United Arab Emirates. In Canada, iStopOver.com lists about 1,500 properties, with more than 100 in each of Toronto, Montreal and Vancouver. Canadians and everyone else are giving home stays an opportunity. At the beginning of this year, travel expert Arthur Frommer predicted the rental of apartments and homes instead of standard hotels would continue to skyrocket in popularity. 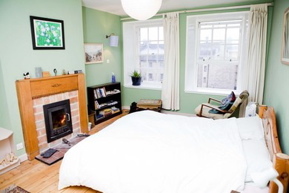 “Large segments of the travelling public are today convinced — and they’re right, in my view — that apartment/home rentals cost much less than hotels and improve the quality of the stay,” Frommer wrote. HomeAway.com, one of the industry leaders, recently announced plans to start selling shares that have a total market value of $2.16 billion. That company has 560,000 listings and said its initial public offering will be between $24 and $27 a share. That’s big business and the iStopOver.com team thinks they’re poised to get in at the height of the rush. It was in South Africa that I first heard of iStopOver.com. The company made headlines last year when the Cape Times learned South Africans were using the service to rent out their homes to visiting World Cup soccer fans. I was in South Africa doing a series of articles previewing the games when I came across that story and followed up with Skapinker, who was CEO of the company at the time, for an article that appeared in the Toronto Star. The drawbacks of booking a home-stay vacation are clear: You’re entering a situation that’s not as predictable as the traditional lodging experience, so there’s a greater risk that you’ll find things unsatisfactory. Rooms may not be as clean as you like, food choices may not be diverse or up to your preferred standards, some amenities you take for granted when you travel may be spare or absent altogether, and if your host is sharing the space with you then there may be personality or compatibility issues too. But if you believe that the majority of people are inherently good and that anyone willing to open their homes to strangers — even if it’s for a price — has a healthy curiosity that probably makes them interesting, then home stays might be the way to go. Practicality also comes into play, especially for families, as many hotels don’t have in-unit washer/dryers or kitchenettes that help cut costs. Next month, I’ll stay at one or two of iStopOver.com’s Vancouver properties and will report on my first home-stay experience here and in the Star. Having stayed in a bunch of hotels over the past two years, I’m looking forward to it and to seeing what iStopOver.com has in store. The idea of spending my vacations in a home of a person I don’t know is really exciting and I am really looking forward to try this kind of adventure in the months to come. As a person who uses the Internet to help people find some of the most interesting spots in Toronto I will definitely try to learn more about this kind of home-stay vacations.